Bhimashankar is an ancient and magnificent temple located in the Sahyadri hills of the Indian state of Maharashtra, India. It is situated 3 hours from Pune, and is ideal for a road trip with a chauffeur-driven cab. Bhimashankar is home to one of the 12 Jyotirlinga Temples of Lord Shiva. This place attracts tourist from all over the country because of various reasons, one being the beauty, serenity, and peacefulness of the city. You might halt at your own convenience anywhere, anytime and enjoy the short relaxing time. 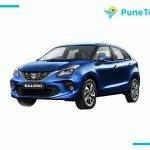 With Pune Tours’ user-friendly website, you can book a cab online in a few simple steps and rent a hassle-free car hire service. When you hire a cab, we ensure you that Pune to Bhimashankar distance will be covered in optimal time. 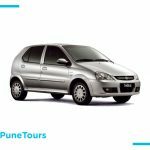 Pune Tours offers trained and friendly drivers so that you can push your seat back, roll down the window and enjoy the mesmerizing sceneries while Pune to Bhimashankar distance would be covered by car. If you are planning a road trip to Bhimashankar, we are offering you Pune to Bhimashankar cab services at an affordable price. We have a wide range of fleets to make your journey more memorable. Different cars are available when you choose to hire cab services from Pune to Bhimashankar. You can explore the scenery and heritage of the city and witness the panoramic view of the surrounding region, which the modern tourist enjoys for its jaw-dropping scenery. You can rejuvenate with your family and friends and this helps you to spend some time away from the hustle bustle of the city. You can create beautiful memories and cherish them for a lifetime. Pune to Bhimashankar tour package is also pocket-friendly, and if you plan one day trip from Pune to Bhimashankar, is possible as well. Pune Tours is just a call away. Factors why you need to choose us? Pune Tours is a renowned cab hire provider in Pune. We are prompt, reliable and professional when it comes to customer service. We have a variety of fleets and accommodate customers as per their choice. If your group is bigger in number, you book a bus or tempo traveller in Pune. 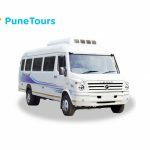 Pune Tours has successfully managed to be famous among its competitors, with it’s customer-oriented approach. We have a professional working culture, and our drivers are well trained with premium and luxury cars. You can get a pickup from anywhere in Pune. Hire Pune to Bhimashankar cab from Pune Tours and make your travel a memorable one. Our vehicles are always clean, because they are regularly washed and is well-maintained. Our cars are well equipped with all the necessary spare parts and tools required in an emergency situation. We provide 24*7 customer care services to our customers so that they don’t face any problem.